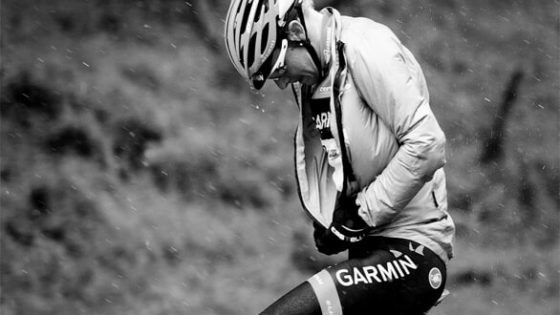 Cycling in the rain has always been fun and exciting. It’s also a boon to those who are into endurance and racing as it helps them train harder and better. With the right monsoon bicycle care and maintenance, you will be able to keep your bike protected all through the season. Once you know how to dress up for the occasion you can focus on taking care of your bike. If you still hate riding in the monsoon, investing in a home trainer can be a good alternative. However, the real fun is outside! A quick inspection of your bike every day can save you unwanted expenses and keep your bike in top condition. So read on for tips on monsoon bicycle care and maintenance and get set to pedal it out in the rain. Monsoon bicycle care and maintenance is a must for every bicycle enthusiast. If you’re lazy when it comes to cleaning your bike, then installing fenders and mudflaps is a must. Decathlon has some few mud guards which can get the work done for the season. Installing them will keep dirt or muck from splashing on your frame, face, eyes and back up to a great extent. Mud flaps also help prevent the rider behind you from getting sprayed in the face and covered in road grit. Not to forget, it keeps your bottom bracket and headset protected. Make sure you install them properly, as improper installation may cause them to break or prevent them from doing their job accurately. You don’t want them to be messed up, and with the correct monsoon bicycle care and maintenance, it can all be avoided. It’s important for you to lube your bicycle chain before going for a ride. A thick and wet heavy lube, preferably waterproof, should be used as it is ideal for wet conditions. Using a thinner lube is likely to wash off quickly in the rain, failing to protect your components. The monsoons lead to brakes that don’t function to their maximum potential. As the rims are prone to catching grit, it eventually gets stuck in the brake pads and affects braking drastically. This ends up causing harm to your rims when you brake and hence, they should be inspected regularly. Wet roads reduce the hold between the tire and the road. With bad braking due to wet rims, it becomes even more difficult to keep the wheels stuck to the tarmac. Reducing your tyre pressure by 10 – 15 PSI will increase traction. Also, look for cuts, bulges, glass, etc in your tyre to prevent a puncture. Once you are back from a wicked ride, it’s a good idea to give your bike a nice wash and wipe it dry. This will keep the frame and components clean for the next ride. Don’t forget to remove dirt from the chain and the cassette followed by washing, drying and lubing. It’s a good idea to give your bike for a complete service once the rains have gone. If you don’t keep your bike in your house due to whatever reasons, it’s perfectly okay. But don’t forget to cover it up and keep it in a dry place which has a roof. 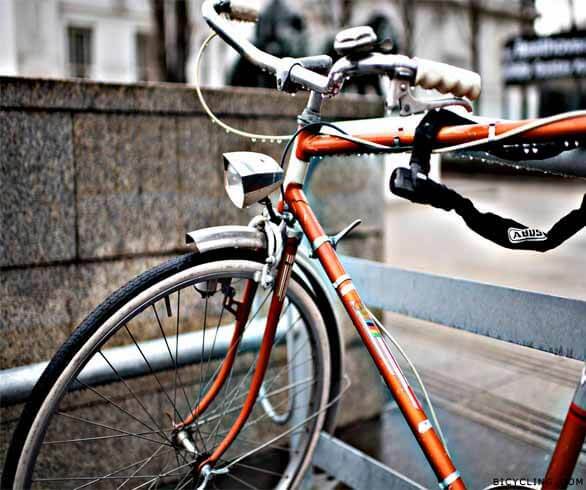 Avoid parking the bike in places where water flows and can make the tyres weaker and crack over time. The same must be kept in mind if you park your bike in the sun. 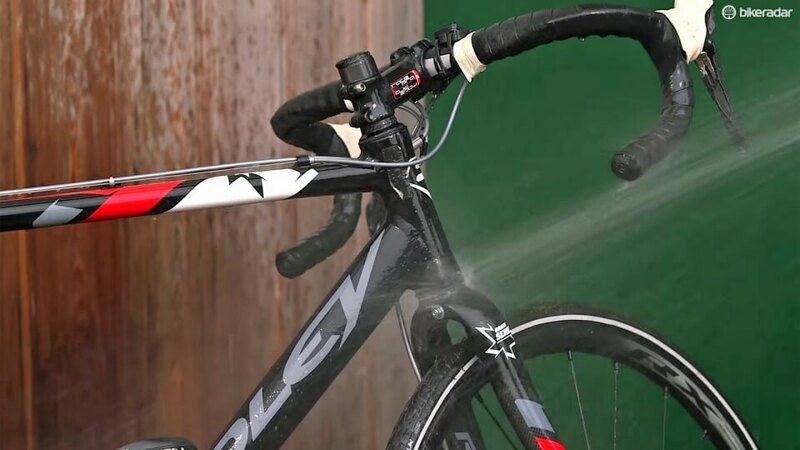 Following the above monsoon bicycle care and maintenance tips will keep your bike in the best of conditions and help you enjoy your ride all through the season. Beginner’s Guide: How to start cycling?